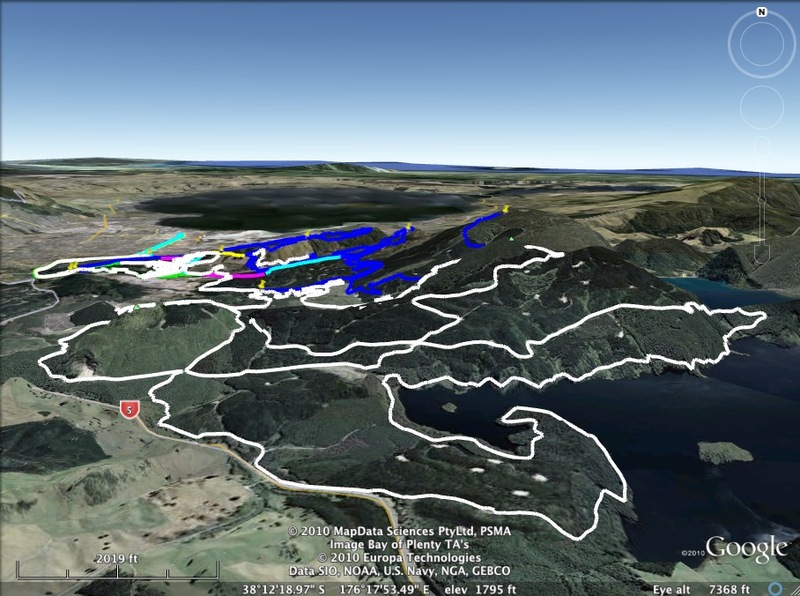 The Whaka 100 – Whakarewarewa Forest. It’s at the south end of Rotorua, dude! 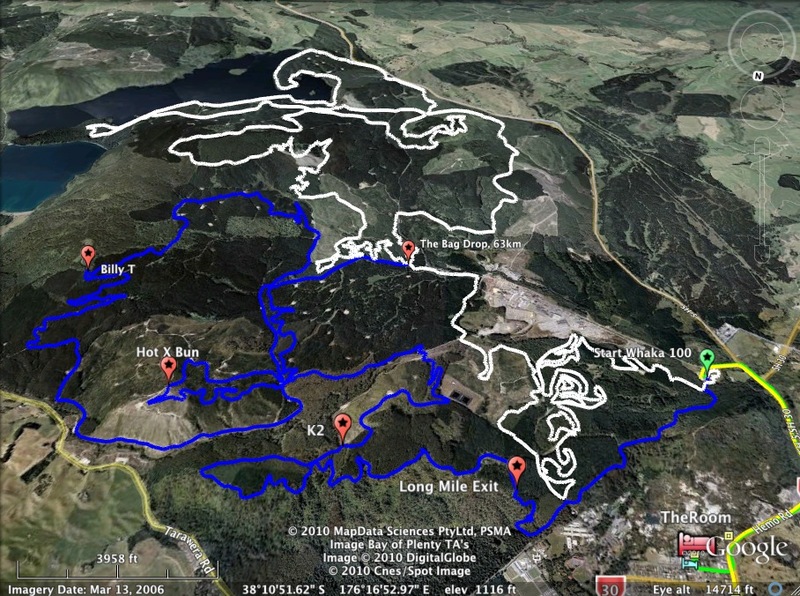 I don’t have much to say – just look at the course profile. 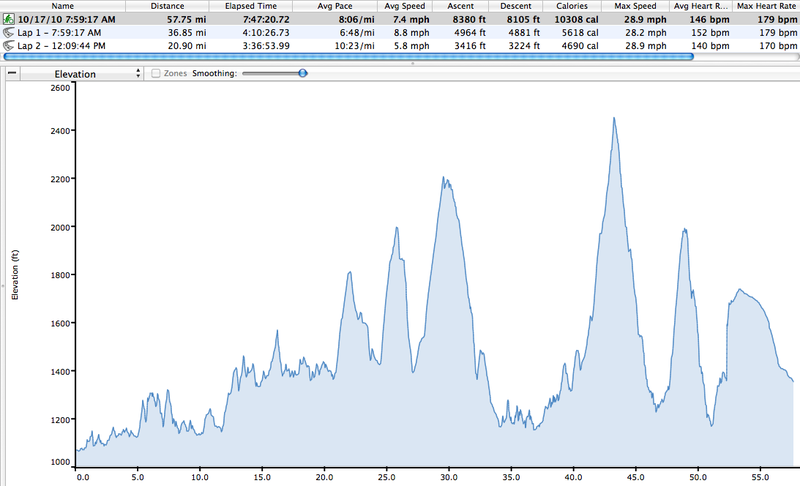 The profile tells the story – 100km (62 miles) and 8340 vertical feet. The climbs were not gradual, straight up is a good visual. Ok. It wasn’t that bad, but it was tough. Well, I assume that you, The B.P.R. Fan, doesn’t give a crap about my race experience. But my mother does, so I’ll add a few thoughts. It was a crazy day for a race. I started out OK; I established a good pace and was feeling good about the hours ahead. 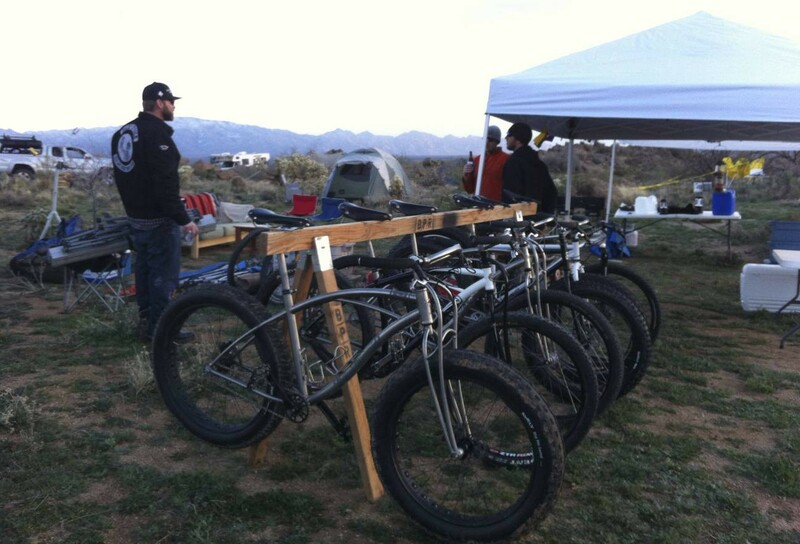 Then a flat tire changed my attitude and my race strategy. At about 28km I noticed that my tire was going down, going down fast. I was riding on the rim within a minute. Damn. Well, I pulled over and pulled out the CO2. At first, no luck. Something ripped open a hole in my sidewall. So I pulled out another CO2 cartridge, said a little prayer, and went to work. Well, something worked – after I went to work. The Stans sealant did the job, it sealed, as always. You just need the magic touch, the magic spin, the magic wobble. With all this magic the sidewall hole / tear finally sealed up. (And it held for the next 70+ kilometers!) So I was on my way, but I was way behind. So, instead of dealing with the lost time as a responsible adult, I did what most juveniles do – I ditched my strategy and went to work. Yep, the conservative race strategy was destroyed by the dangerous little thoughts circling in my head… ‘Dude, get the cranks rotating, get the blood pumping, make up lost ground, GET A MOVE ON!’ So, I got moving. And by 60km I was destroyed. My legs were fine, but I was out of gas. Trust me, there is a difference. I was almost out of water, I was out of food and I was out of energy. Well, Be Prepared is the Boy Scout motto. I wasn’t prepared. (Why should I be? It’s just an ‘little’ 60 mile race. )Anyway, I paid the price. So, after 60km my ‘race’ strategy turned into ‘survival’ strategy. I survived because of this survival strategy, but barely. I finished, as planned. It was never really in question. The question was whether or not I would finish prior to The Finish being disassembled and packed away. Funny thing. The race crew was disassembling The Finish, as I finished. But it’s understandable. A wicked rain storm hit about 2PM. 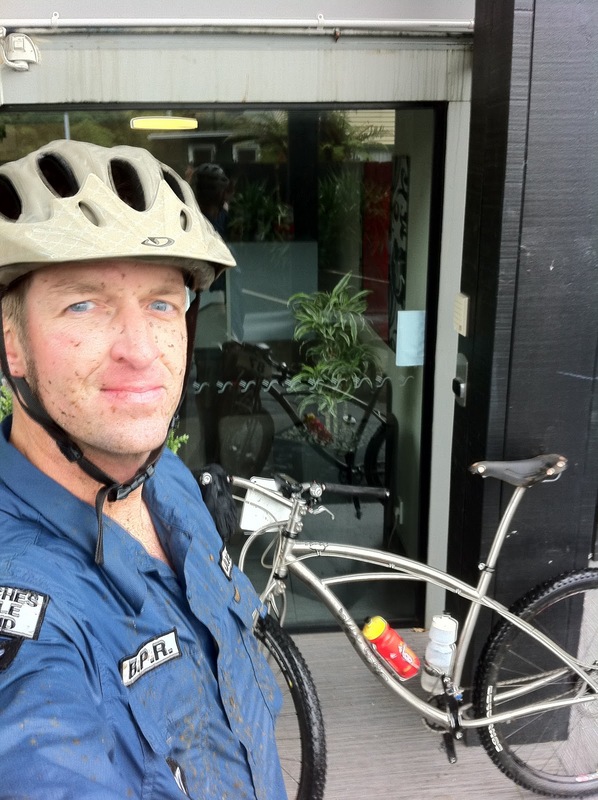 I rode (and walked) the final 10 miles in this drenching rain. It sucked. I’m sure the race crew was as cold as I was, probably colder. So they went to work, they wanted to hit the road and go ‘chill out’ at the local bar, chill out by downing some cold ones. I was following another single speed dude on the long descent after major climb #2. The dude was having a wicked time with the descent and the mud. I was like ‘Damn, did this guy tip one too many back last night – or this morning?’ Then I looked again, and again. I did a double take. THE FREAK was riding a fixed geared SS. Holy S*^T, talk about insane! You (or I) can’t buy beer at the gas stations in New Zealand. What the Hell! There is a gas station around the corner from the hotel, I cruised over there for a microwave dinner and beer. I returned with a piece of junk for dinner and ZERO beer. Talk about depression! As Brent from Auckland said – be prepared to replace the brake pads. Yep, I brought extras and I need to replace the pads prior to the Single Speed World Championships. Funny. The pads last probably 1000 miles back in The Land of Enchantment, but the pads don’t survive very long in crazy New Zealand. Must have something to do with these massive islands in the ocean, i.e., previous volcanic activities – like millions of years ago. 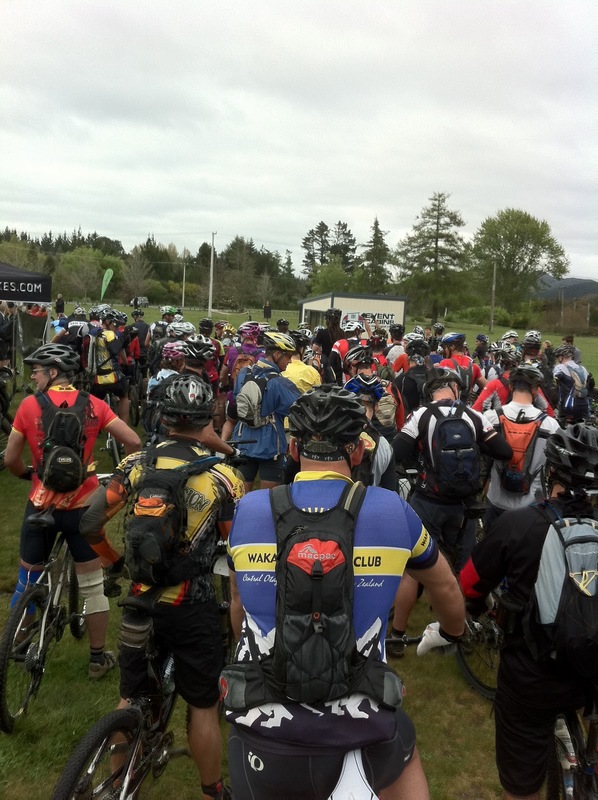 The 2010 edition of the Whaka 100 was an awesome race. The race organization was awesome, zero problems. 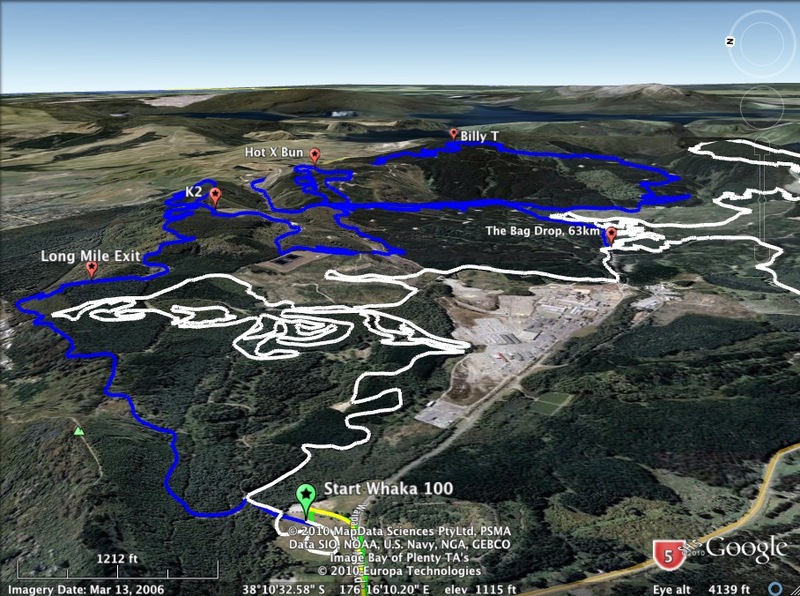 The course, all 100km, was very well marked. I felt lost for all 100km, but I wasn’t concerned. Arrows and ‘police tape’ were always at the appropriate turns. I may have felt lost, but I wasn’t lost. My performance: I raced at first, then I just survived. 32×18 worked for the first 60km, but was brutal for the final 40km. Check out the results. The Link. I’m right at the back of the pack – as required. I actually claimed two spots in the results, 21st and a pre-race withdrawl. Awesome, my alter ego was finally recognized. Also, I I’m happy I survived, but not thrilled with my time – 7hrs 47 min. My goal was to break 7hrs. Oh well, who will know in 1000 years? Ok, in 2 days, who will know? Who will care! Anyway, I highly recommend the race to anyone that loves to suffer. And if you love to travel and suffer – head to Colorado and race in the Firecracker 50 and Leadville Silver Rush 50. Check out my blog postings. The courses are different -> similar vertical gain, but much different profiles. Plus the views are uniquely Colorado. ← New Zealand: I’m here – been here for days!